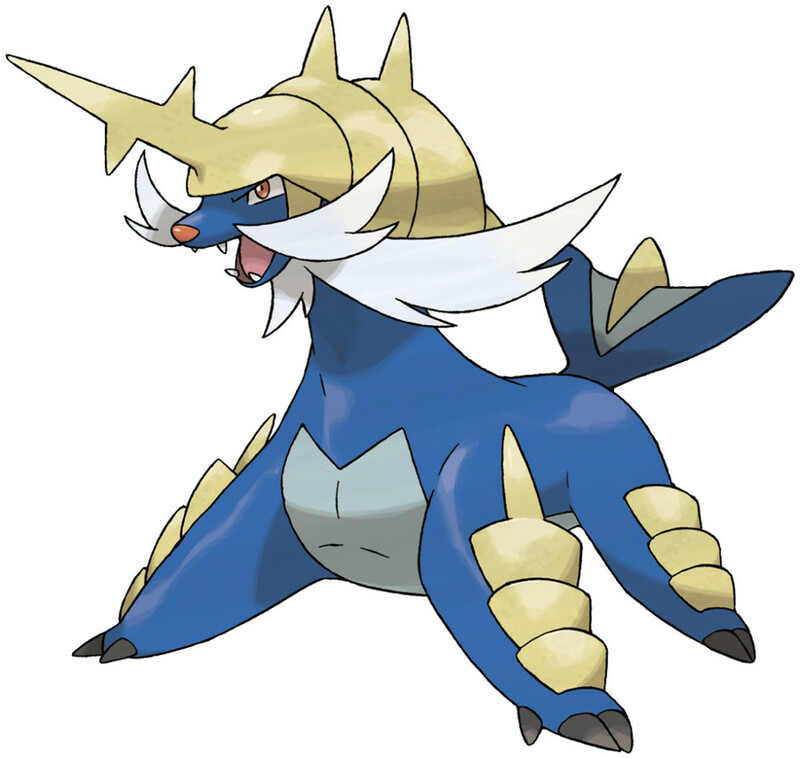 Samurott is a Water type Pokémon introduced in Generation 5. It is known as the Formidable Pokémon . The effectiveness of each type on Samurott. Samurott learns the following moves in Pokémon Ultra Sun & Ultra Moon at the levels specified. Samurott learns the following moves when it evolves in Pokémon Ultra Sun & Ultra Moon (regardless of level). Samurott learns the following moves via breeding in Pokémon Ultra Sun & Ultra Moon. Details and compatible parents can be found on the Samurott egg moves page. Samurott can only learn these moves in previous generations. It must be taught the moves in the appropriate game and then transferred to Pokémon Ultra Sun & Ultra Moon. Samurott learns the following moves in Pokémon Sun & Moon at the levels specified. Samurott learns the following moves when it evolves in Pokémon Sun & Moon (regardless of level). Samurott learns the following moves via breeding in Pokémon Sun & Moon. Details and compatible parents can be found on the Samurott egg moves page. Samurott can only learn these moves in previous generations. It must be taught the moves in the appropriate game and then transferred to Pokémon Sun & Moon. What is a good moveset for Samurott? Is there any way to retreive a traded Pokemon under these circumstances...? How did a lv15 Tympole outspeed my lv50 Samurott? How to find newsletter with Samurott code? When will the hidden ability samurott code be emailed?